1. Typical peripheral blood smear showing microcytosis, hypochromia, anisocytosis, poikilocytosis, and nucleated red blood cells. 2. 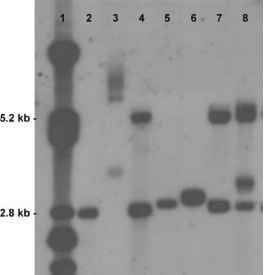 Hb pattern (by cellulose acetate electrophoresis or HPLC), characterized by HbF, and trace of HbA2 (p°-thalassemia) or 10-30% HbA, 70-90 HbF, and trace of HbA2 (p+-thalassemia).